WASHINGTON - Recent controversies surrounding the treatment of women in the haredi community have led officials in Maryland's Montgomery County to suspend a sister-city agreement with Beit Shemesh. 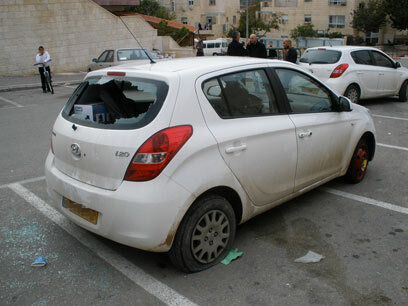 Beit Shemesh victim: Why were assailants released? According to the Washington Post, news reports of the city’s ultra-Orthodox population clashing with Israeli police and assaulting some Israeli women "have made their way around the world and into living rooms" around the US capital. The newspaper said that the nonprofit group Montgomery Sister Cities is now looking to the historic Ethio¬pian city of Gondar as the county’s next prospective sister city. In recent years Montgomery County, which has a large Jewish community, has been promoting cultural and economic ties with Beit Shemesh. In 2007, County Executive Isiah Leggett (D) visited Beit Shemesh in 2007, and it was then that talk of a sister-city partnership began, according to the Washington Post. The sister-city program, the report said, encourages cooperation between municipalities through educational, cultural, social, economic, humanitarian and charitable exchanges. Montgomery County's first partnership, with Morazan, El Salvador, was signed in July. Beit Shemesh and the surrounding county of Mateh Yehuda, was expected to be second in line, the report said. Susan Kerin, a human rights activist from Montgomery, told the Washington Post that the county has “dodged a bullet” by delaying the process. Kerin said Beit Shemesh has had a “systemic” issue with segregation and hate violence. A number of Jewish politicians who had promoted the sister-city agreement with Beith Shemesh have pulled their support in light of the recent events there. See all talkbacks "US county suspends Beit Shemesh pact over women's exclusion"